The 44-year-old actress Amy Adams arrives at Bristol Farms in Beverly Hills. The 44-year-old actress Amy Adams, who married Darren Le Gallo in 2015, attends the 91st Annual Academy Awards in Los Angeles. The 44-year-old actress Amy Adams attends 2019 BAFTA Awards in London. The 44-year-old actress Amy Adams, who earned Academy Award nominations for her roles in “American Hustle”, “Junebug”, “Doubt”, “The Fighter”, and “The Master”, attends the 25th Annual Screen Actors Guild Awards in Los Angeles. 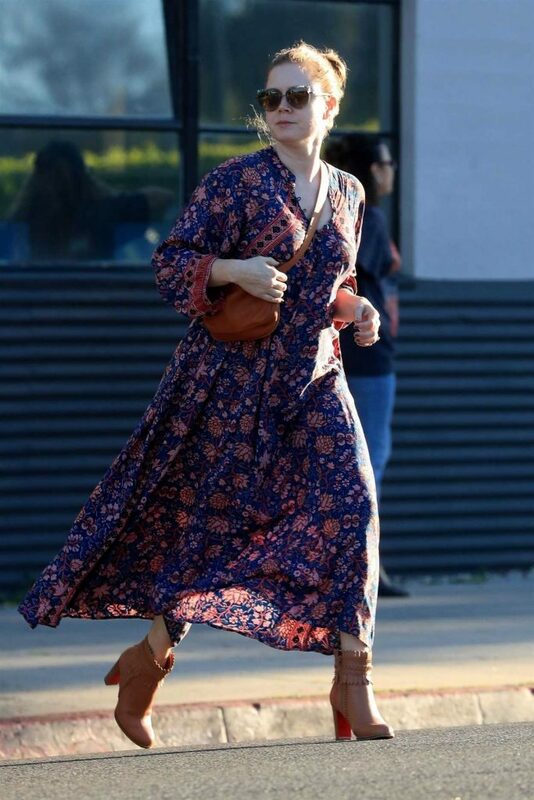 The 44-year-old actress Amy Adams in a floral print dress was seen out in Beverly Hills. The 44-year-old actress Amy Adams, who has starred in a number of films ranging from the Disney fantasy feature “Enchanted” to the David O. Russell crime film “American Hustle”, attends the 30th Annual Producers Guild Awards in Beverly Hills. The 44-year-old actress Amy Adams, who married Darren Le Gallo in 2015, in a polka dot dress leaves an office in Beverly Hills. The 44-year-old actress Amy Adams leaves the “Late Night with Seth Meyers” in New York City. The 44-year-old actress Amy Adams, who earned Academy Award nominations for her roles in “American Hustle”, “Junebug”, “Doubt”, “The Fighter”, and “The Master”, attends Jimmy Kimmel Live TV show in Los Angeles. The 44-year-old actress Amy Adams attends “Vice” World premiere in LA.